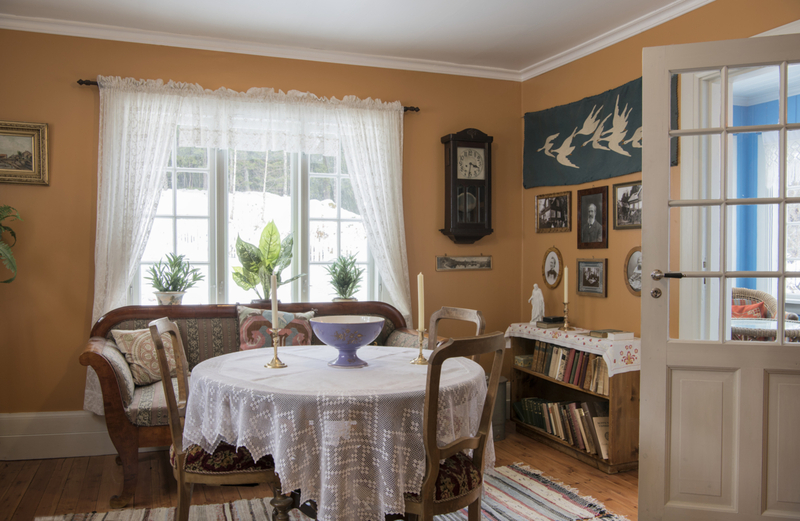 All year you find open doors to several of Maihaugen's historical houses, so you can take a peek through the door. A walk around the open air museum is a travel back in time. Both the Rural collection, the Town and the Residential area have houses with open doors you can look through. Some of them also have audio guides telling about the house and the time period it is from. The School. Experience school around 1866. Mytting. Beautiful wall paintings and interior from the 1700s. Garmo stave church. The church from the 13th century with dragonheads on the roof ridge is one of the museum's main attractions. Bjørnstad. A complete farm from the 1700s with 27 houses. Hage. A country home for a grocer and his family at the beginning of the 1900s. Photo studio. The workshop of a photographer around 1900. Book bindery. Equipment for traditional manual binding from the first part of the 1900s. The house from the 1920s. The colorful walls inside in this log building are typical for the 1920s. The house from the 1950s. Post-war optimism with a Mercedes in the garage and language course on the tape recorder. The living room in the 1920s house, with the glassed-in veranda through the door to the right.